We are delighted to be awarded the Best Four Hotel Award for 2018 at last week's Hotel & Catering Review’s Gold Medal Awards. The Gold Medal Awards recognise and reward excellence in hospitality and catering operations across the island of Ireland. Judging was by industry experts including a mystery shopper inspection. 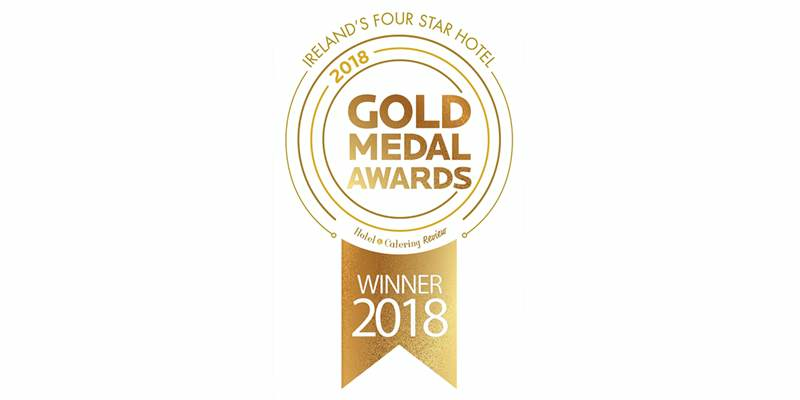 We are so honoured to receive Ireland's Four Star Hotel award for 2018, it means so much to the team to receive such recognition. At Ballynahinch Castle our primary concern is our guest experience, not just in terms of their rooms or dining but the overall impact of their stay. We focus on authenticity, on real experiences delivered by real people who have an empathy and awareness of their guests and appreciate the choice they have made in choosing to stay with us at Ballynahinch Castle.